Elmwood Place is urban residential living at its best, with no homeowner or condominium dues, but an instant community in an established neighborhood. On a unique residential street in one of Seattle’s most historically diverse neighborhoods, a community of new homes is taking shape. Elmwood Place is a collection of six row houses, a modern interpretation of historic architecture found in America’s oldest cities. Wide front stoops with side-by-side doors provide a strong street presence and promote interaction between neighbors while evoking urban street scenes from a century ago. Elmwood Place is urban residential living at its best, with no homeowner or condominium dues, but an instant community in an established neighborhood. Inside, wide windows and sliding glass doors bring light into all living spaces. These private residences feature a great room on the main level. In the gourmet kitchen, sliding glass doors open to a small balcony where you can grow potted herbs. Choose between alternate layouts upstairs, with two bedrooms and two full bathrooms, or a master bedroom, five piece master bath, and spacious den. Convenient second story laundry closet and storage make efficient use of space. A glass light well on the second floor opens up to a fully accessible roof deck, perfect for entertaining or rooftop gardening. Elmwood is designed to 4 Star Built Green standards, an environmental building program from the Master Builders Association in partnership with King County and Washington State government agencies. 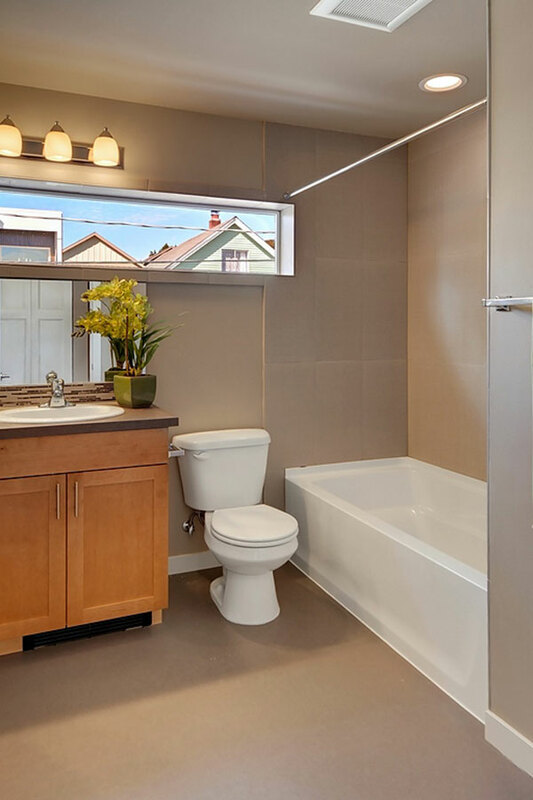 Including high efficiency water heaters, plumbing fixtures, and insulation, Elmwood Place row houses are more cost effective to own and will cost less to maintain. 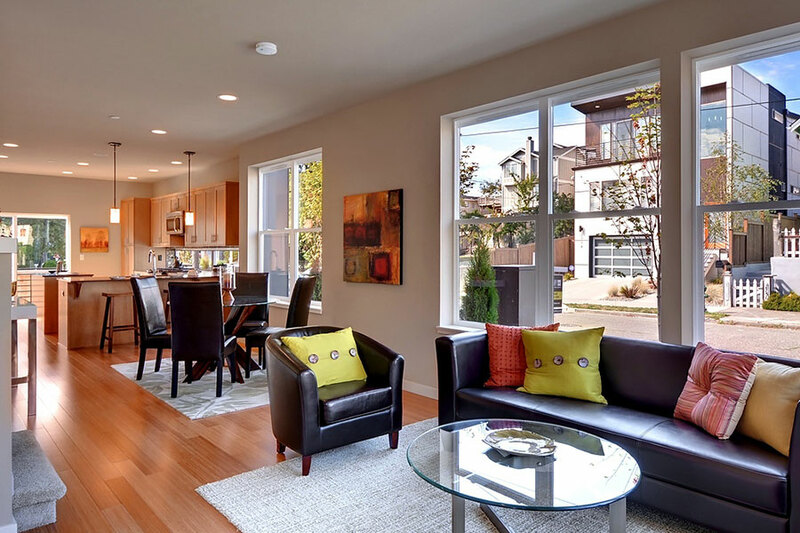 Beautiful bamboo floors, whole house ventilation, and low VOC paint and finishes will promote safer, healthier indoor-air quality and help you leave a smaller environmental footprint while helping to protect the Pacific Northwest’s precious resources. Private single car garages, accessed along the rear of the property, offer convenient and secure storage for bikes and camping gear and still leave room for your car. A stairway leads directly from the garage to the kitchen above. Elmwood Place is in walking distance to restaurants, local schools, and numerous parks. Easy access to bike trails and Interstate 90 offers flexibility to all types of commuters. Nearby transit, including King County Metro and Sound Transit Link Light Rail, make it simple to get to downtown, Columbia City, and SeaTac airport. The vibrant Capitol Hill neighborhood, with restaurants, theaters, and shopping, is ten minutes away.